Multi stage cooking processes (up to 16 stages) offer a large selection of options through time, temperature and function settings. The power control allows even long cooking processes to be optimised. 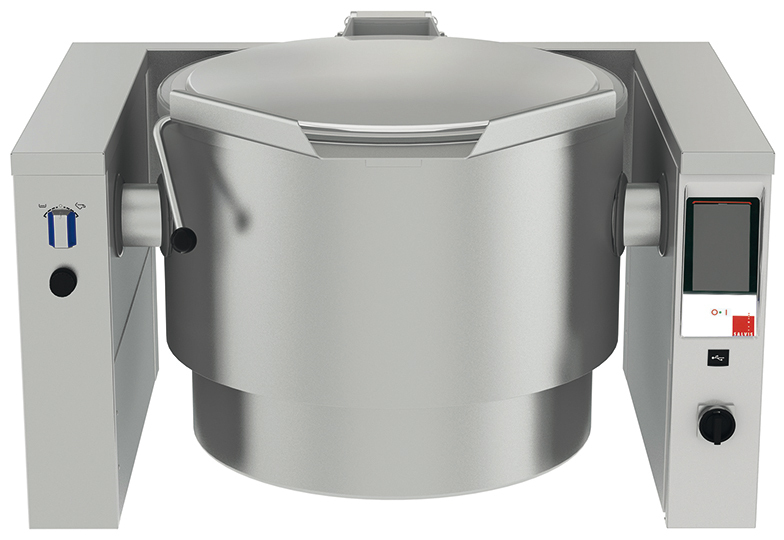 The enclosed, indirect heating system in the double jacket of the kettle generates a working steam pressure of 1.5 bar for up to 40 % reduction in heating time. The deep-drawn kettles, which are pressed from one piece of high quality stainless steel, withstand continuous intensive use. A low temperature zone at the upper edge of the kettle increases safety and prevents the products from foaming up. The electrical control elements are operated with low voltage for improved safety in your kitchen. Soft program with reduced and limited bottom temperature for delicate foods which burn easily.